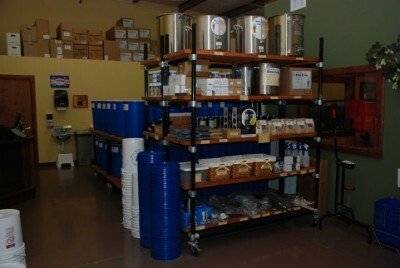 Not too long ago I was asked what are the best homebrewing shops in the Tampa area. I thought I would share my response with everyone. I wouldn’t say that there is a best, each has it’s pros and cons, but there is one that I have an unfair bias towards. Beer And Winemaker’s Pantry is a small shop, focusing a lot on wine, but it has a lot of the core equipment and ingredients that a homebrewer could need. I find myself going here a lot to pick up last minute things like bottle caps, when I don’t have the time to stop at Southern Brewing (see below) or shop online. Booth’s Brewing is the only shop on the list that I haven’t personally visited myself. However, I’ve heard from homebrewing friends that I trust, that it’s a great shop that has a wide selection of equipment, ingredients and a knowledgeable staff. I will be making a trip over there sooner, rather than later, to check it out. If you’re not in the Tampa Bay area, or even if you are, a little later this week, I’ll go over the best online homebrew supply shops that I’ve purchased equipment or ingredients from. Photo courtesy of Southern Brewing.